You don’t need a telescope to see a lot of wonderful things in the night sky. For example five of the planets are often readily visible with the naked eye. There are lots of amazing things you can see and this guide will help you find them. To maximize what you can see in the night sky there are a few things you should do as preparation. Of course, the first thing you need is a clear and cloudless night. And this includes the moon. 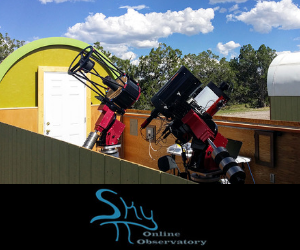 You should try to do your observing on a night with no moon or at the least the smallest sliver of moon possible. Its brightness will wash out many of the dimmest and most dramatic objects in the sky. Second, you should consider your comfort. Make sure you dress appropriately for the weather and bring extra layers of clothing if you are observing during cold months. The temperature late in the evening can be substantially lower than it is during the day and because observing the sky means not moving around much you will be even colder. Bring along any items to help your comfort like a lawn chair or a reclining lawn chair so you can look up without craning your neck. 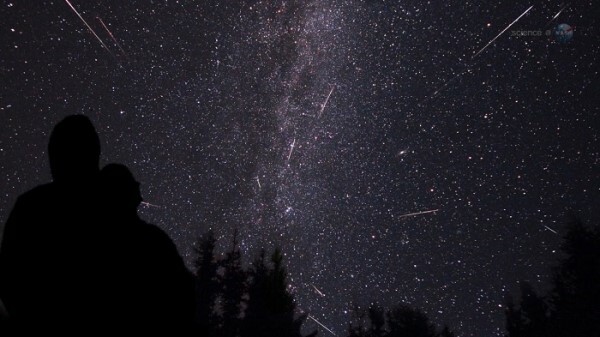 Stargazing and Meteor Shower Observing - Image by NASA. Find yourself a spot to observe from that is as dark as possible. This means to get away from street lights, city lights, house lights, or any other type of light source. Ideally, you should drive away from any city that is nearby. If this is not possible then try to find the darkest spot you can. Man-made Light sources have an effect on the night sky by washing out the dimmer objects and they have an effect on your eyes by causing your pupils to close. This will decrease your ability to see the dimmer objects. Beginning your observing is the most critical time for one big reason and this is why a lot of people don’t realize how rich the night sky really is. It takes your eyes up to a half an hour to fully adjust to the darkness outside. If you go outside and immediately begin looking for an object in the sky you may be disappointed but this is because your eyes haven’t adjusted yet! Give it some time and let your eyes fully adjust and you will be amazed at how many more things you see in just a half hour time. Get some star maps, planet charts, and reference materials and bring them right outside with you. They will help you to find various objects. But it will be dark outside so you won’t be able to read them! And if you turn on some kind of a light or flashlight your night vision will be ruined. But there is a way to read your charts and materials without ruining your night vision. Cover your flashlight with some type of red cellophane or tape so it only gives off a dim red glow. The reduction in light will have less of an effect on your viewing and your eyes are very insensitive to red light so your pupils will not dilate. You can buy flashlights with red covers online, at astronomy and optical shops, or even at military surplus stores. The first place you can start with is the moon (If it is out). And the best viewing will be when it is only a thin crescent. This is because when it is like this the sun is casting light on it at a very sharp angle and the surface features will cast long shadows which makes them easier to see. With a full or near full moon, the light hits the surface of the moon directly and casts no shadows. The Milky Way Galaxy – Our solar system is part of a tremendous spiral galaxy called the Milky Way galaxy. You can see this galaxy as a band of diffuse light that stretches across the sky. It takes dark skies and well adjusted night vision to see it but it is quite a remarkable sight. Every star and constellation map will show you where the milky way stretches across the sky. The Constellations – Finding and identifying various constellations can be a lot of fun. Each constellation represents an object, animal, or historical figure; and learning the story behind them can also be a lot of fun. Identifying constellations is also the only way to go deeper and find other objects like planets and comets. They form the background that everything moves within and they give you a frame of reference for finding these objects. 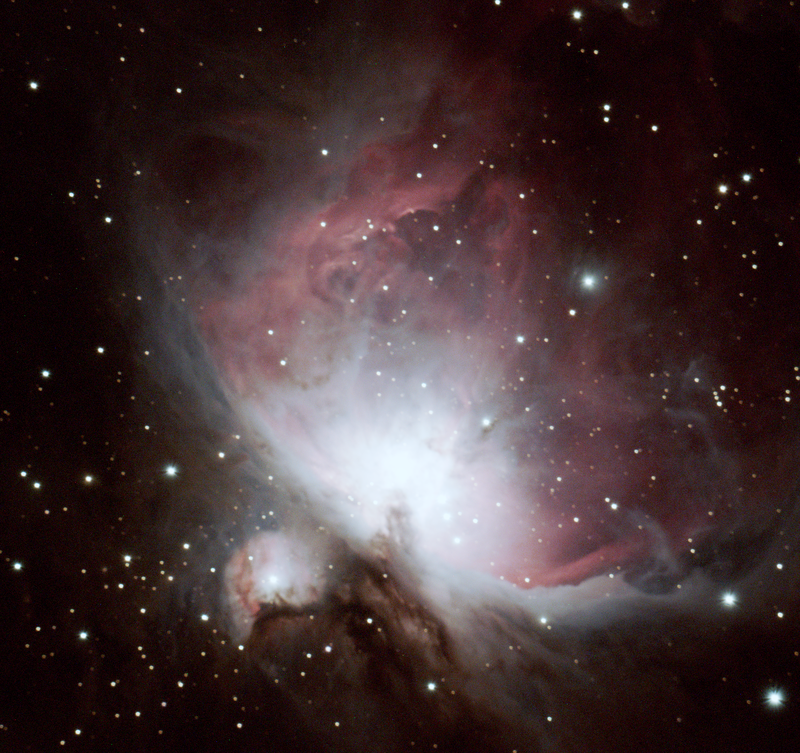 Identifying constellations should be part of every stargazing event you undertake. The Planets – The planets move around in the sky quite a bit and sometimes they are too close to the position of the sun which means they are not visible at night but five of the planets, when in the right position are easily visible with the naked eye. These are Mercury, Venus, Mars, Jupiter and Saturn. And often times these planets are the brightest objects in the sky. Refer to you planet charts to find current locations of them. One rule of thumb for figuring out whether something is a star or a planet is whether or not it twinkles. Stars twinkle and planets do not. So if you locate an object that you believe is a planet you can watch it for several minutes to see if it twinkles like other stars. If it does not then chances are good you have found a planet. Colorful Stars – Stars are not all white. This is a common misunderstanding that people have. Stars come in a wide variety of brilliant colors and some of the more notable ones are the bright red Betelgeuse in Orion, the bright light-blue Rigel in Orion, the yellowish-white Altair in Aquila, and the bright red Antares in Scorpio. Finding and identifying these colorful stars can be a lot of fun. It can also be quite easy because some of the brightest stars in the sky are also very colorful from white to blue and red. There are two very unique objects that are very easily seen with the naked eye on a dark night in the northern hemisphere. These are the Andromeda galaxy and the Hercules Nebula. They appear as tiny wisps of white smoke that look like small cotton balls. Once you start getting familiar with the constellations you should look for these two objects. The Andromeda galaxy is in the constellation Andromeda and the Hercules nebula is in the constellation Hercules. The night sky is filled with a lot of objects that come and go in different patterns. Some of them, like meteor showers, occur at around the same time every year. This is when the Earth passes through clouds of space debris. You can check a chart of meteor showers and plan an evening or several evening of watching them. Some meteor showers can give as many as 120 falling stars every hour. Comets – These can be difficult to view because they are often very dim. But occasionally a comet will become very bright and be easily visible with the naked eye. The night sky is more than just the moon and the stars. It is an extraordinarily rich environment with objects of all kinds. And given a little bit of time and dark skies you will discover and explore many of the beauty secrets that it holds, and you can do it without a telescope. All you need is dark skies, a few charts, and a little bit of time.